Fall is in full swing, and that means pumpkins are everywhere. 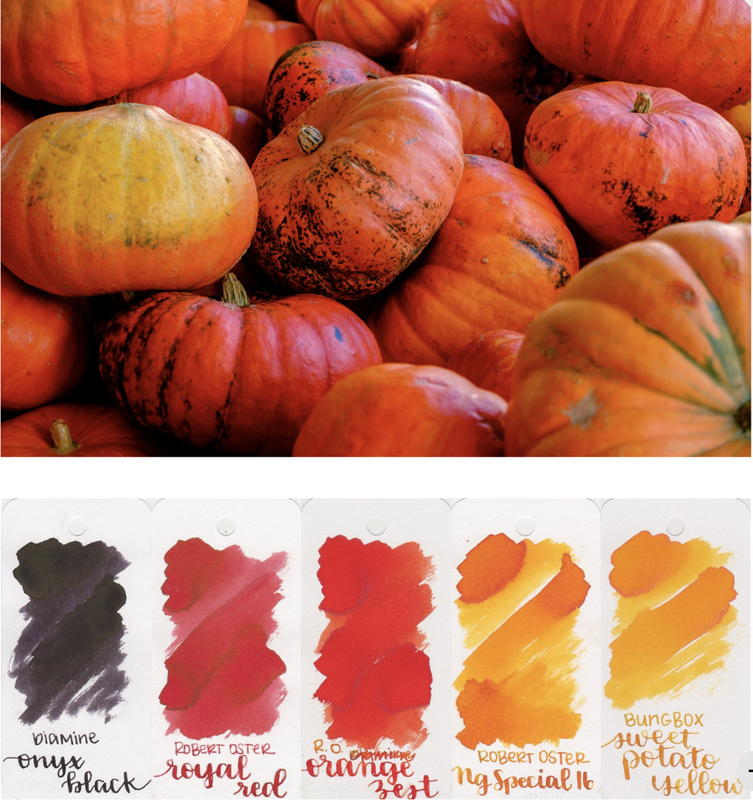 While I like pumpkins, I'm not crazy about bright orange. I loved that these pumpkins were more on the red side of orange than straight orange. So let's find some inks that match up. 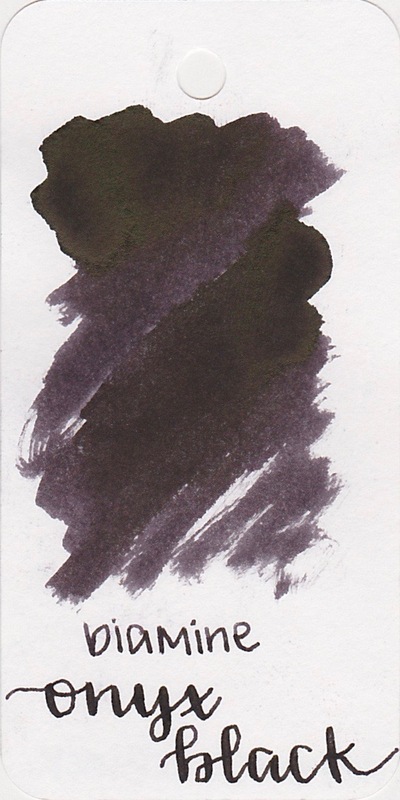 I love that this ink has some pretty black sheen. Royal Red is a bit less saturated and has some nice shading. Orange Zest is more of a red-orange and has some nice shading. I love that this ink is bright and happy. Sweet Potato Yellow is a great color. It's more of a yellow-orange than just yellow. These are the inks I'm using right now-if you check out my instagram page (@mountainofink) you will see the pens I'm currently using them in. What inks are you using today?